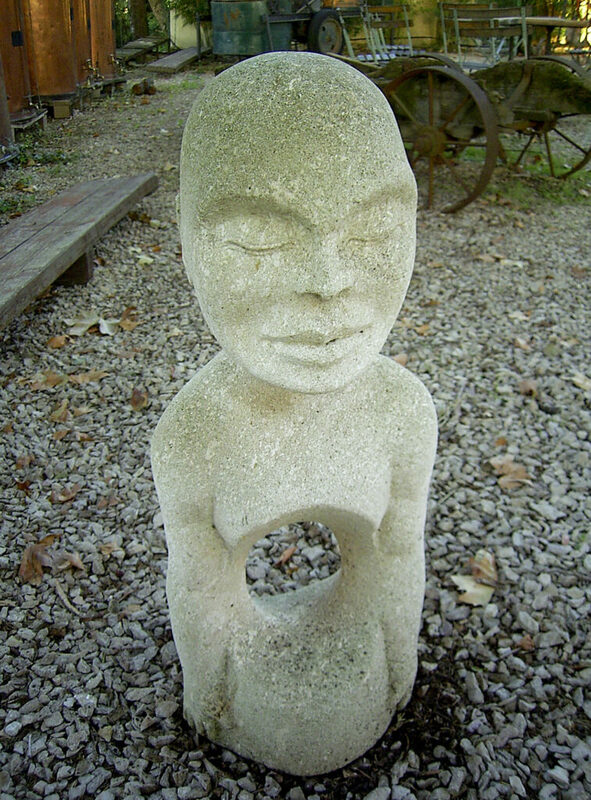 Greg is a gifted artist in Northern New South Wales in Australia who is known for his sculptures with unique shapes and forms. He has worked as a commercial artist for many years in many places around the globe including Spain, France, The West Indies, The Philippines and Australia. he has created exceptional pieces and installations for Councils, Clubs, Bars and Restaurants as well as for Private Clients. With these pieces and installations he creates an ambiance both aesthetic and one that delivers for his clients. 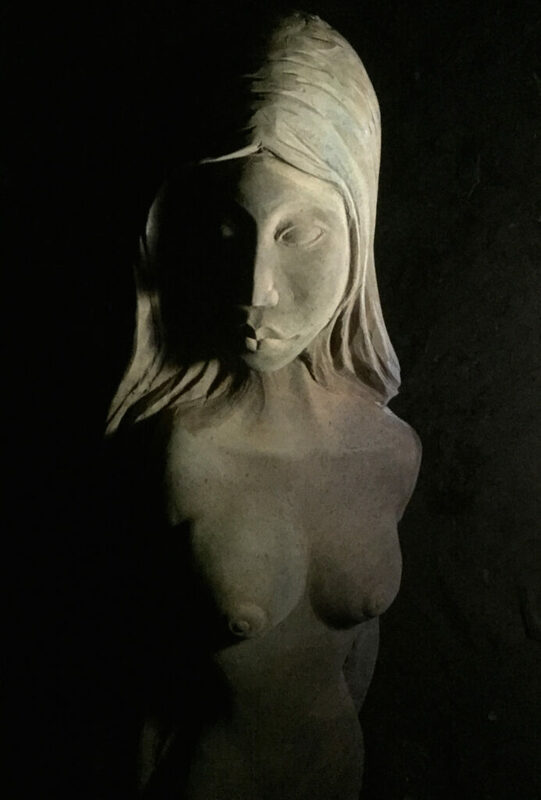 Greg Bowering aims to create beautiful pieces that inspire people through the forms he creates to make them aware of the importance of art and the presence of the aesthetic in our world. Greg worked as a local artist, from his early adulthood he was carving images onto leather and making ornately carved apparel and accessories. From this, experiences in the fishing industry and his carpentry and joinery background he started producing furniture and clothing made from tanned fish skin. He created the marine leather using by-product from the fishing industry. 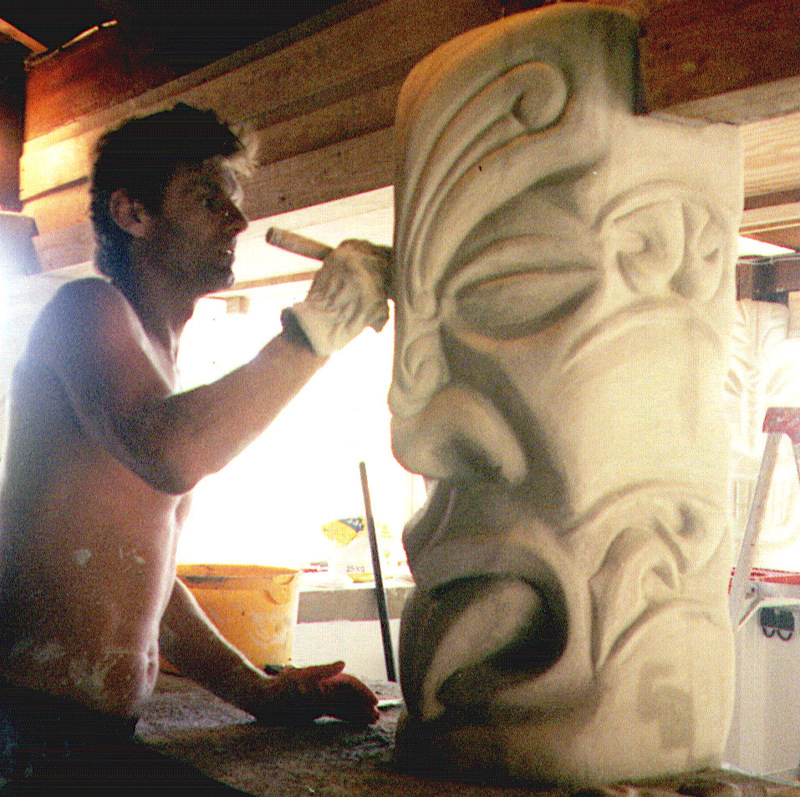 Progressing into sculpture Greg began carving Aerated Cement, Stone and Wood in the 1990's and became in demand as a commercial artist who could create an individual and unique ambiance as required by different clients. 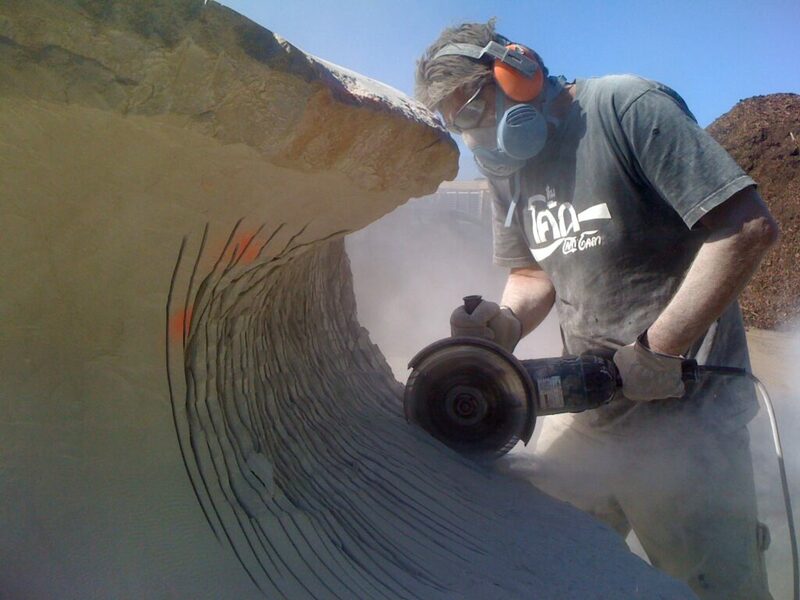 To the present day Greg is carving pieces large and small for businesses, as pieces of public art and for private clients.